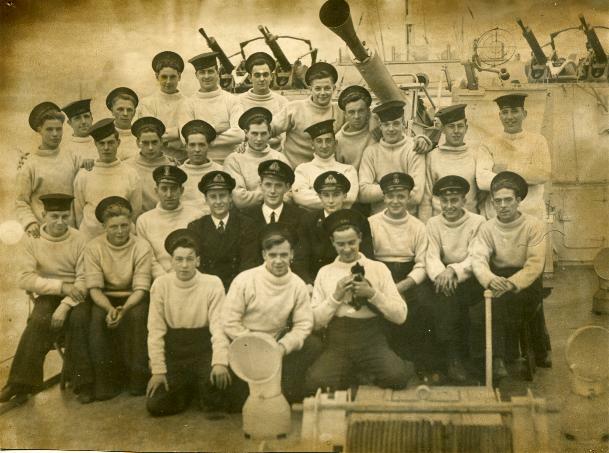 I joined MTB 695 as replacement telegraphist in 1943 following the loss of ML108. 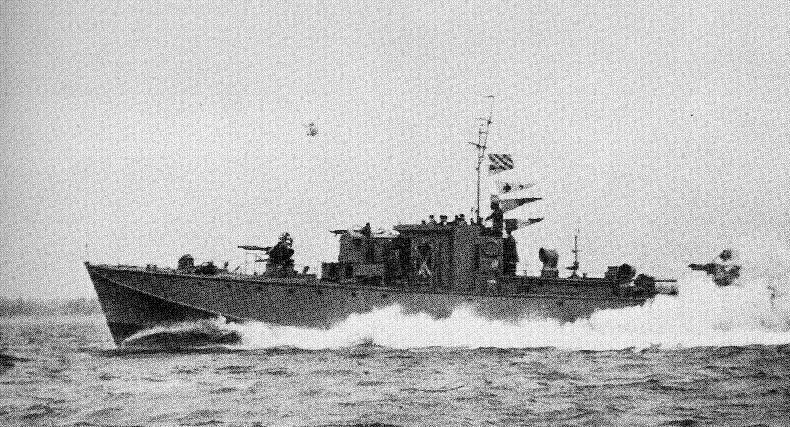 She was one of the earlier D class, classified as a gun boat as tubes were not fitted. After a couple of months however it was decided to update her and two twenty-one inch torpedo tubes were fitted. Then we joined the 53rd MTB flotilla at Lowestoft. We did various Z patrols which were important but boring. Given a designated area to cover we would take up a central position, switch off engines and make no noise whatsoever whilst the hydrophone operators at the bottom of the boat would carry out continued sweeps for any engine sound. Most contact were at a distance and passing across our line and not towards us. From time to time we would restart engines and reposition. On 6th March 1944 the flotilla set out toward Ymuiden to seek out and destroy enemy convoys. On leaving harbour we found we were taking a passenger, a gunnery officer, who wished to see a bit of action! This caused me some concern although I am not generally superstitious, I felt some misgivings. It is an old navy thing – you don’t take passengers when you are going into battle etc. We reached the area just off Ymuiden harbour in the early hours, all was quiet. One of the boats used the loud hailer to call “Come out you Bs and fight” as we headed round the coast. Then a convoy was seen approaching and the SO took us up the shore side and all boats attacked with gunfire, we turned and retraced on the seaward side and now the larger vessels were targeted for torpedo attack. It became very fierce and active with damage on both sides. Boats were now emerging from the harbour, probably due to the wake up call, and were at first mistakenly fired on by the convoy escorts, the battle continued. All our boats were damaged but by far the worst was 695, my boat. I had heard the sound of shells hitting us when suddenly there was a terrible scream from just above me. I ran up the few steps to the chart room and John Morrish fell back on to me. A shell had pierced the splinter mat and hit him. He died almost at once. I tried to call the bridge but had no response so I started up the steps again towards the bridge when there was a sudden crash – we had run into the boat ahead! I continued to the upper deck, bodies were everywhere. The skipper was trying to get up and said “Take the wheel Sparks” and I did just that, reversing slowly away. 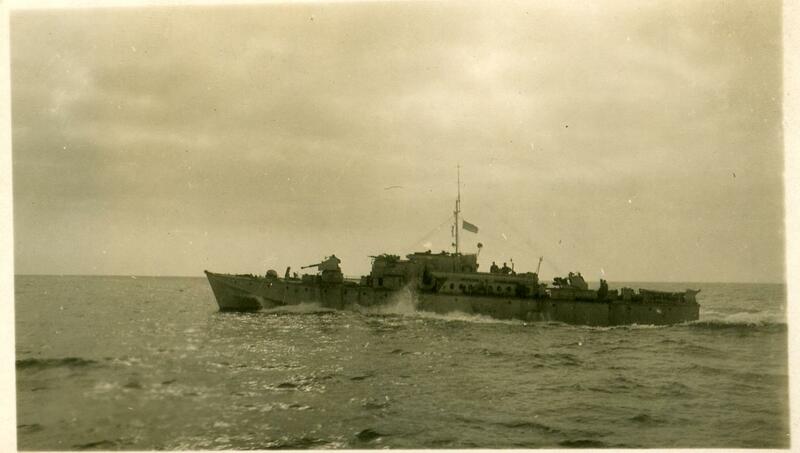 The battle still raged and L/S Ernest Leah on the twin oerlikon was having a field day. I am sure he saved us from much further damage. I signalled the SO as instructed – have damage – assess and report – taking water – do you require assistance – negative – make best speed to base: we did just that, slowly making our way home – it took many hours. The gunnery officer was killed as well as Sub/LT John Morrish, those injured proved not too serious. We landed casualties eventually – it was all over. I left 695 as she needed repairs and following a return to depot was sent to crew MTB 753 a new boat.